Many know that after he rose from the dead, Jesus appeared to his disciples to manifest his resurrected glory and commission them for ministry. What is often forgotten is that Luke tells us in Acts 1 that he spent 40 days with his disciples instructing them about the kingdom and preparing them. Because Luke only mentions this in the one verse, we often forget about this dimension of his earthly ministry. 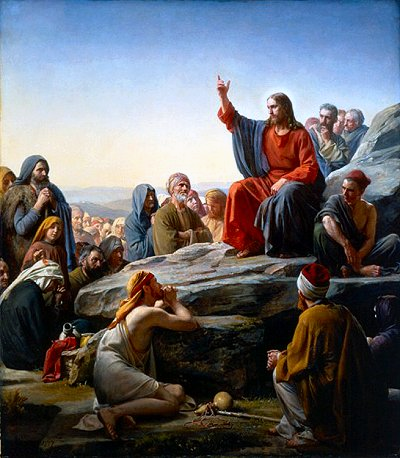 After he had suffered, he not only presented himself alive with many compelling proofs for forty days but also spoke to them of the things pertaining to his kingdom (Acts 1:3; 10:40–42; 13:31). All too often this instruction that Christ gave to his disciples between his resurrection and ascension is ignored, but it fully deserves our attention. Those who do not take account of it create a large chasm between what Jesus himself taught before his death and what was later preached by his apostles. These men, certainly, linked up with the instruction given by Jesus to his disciples specifically in that forty-day period. Jesus did not appear to his disciples in order from that point on to leave them to their own reflection and reasoning, but in those forty days impressed upon them much more clearly than he could do earlier the significance of his death and resurrection, of his person and work. For before his death and resurrection, his disciples did not understand him. Over and over they misconstrued his intentions. They would only understand them afterward. But after Jesus died and rose again, appeared to them in another form, and spoke with them about the kingdom of God, they learned more in those forty days than in the three years they had daily associated with him. Only then did they for the first time understand the words he had spoken to them earlier. Of the greatest significance were the things in which Jesus now further instructed them. They concerned—briefly to mention the most important—the necessity and significance of his suffering (Luke 24:26–27), the explanation of the prophecies of the Old Testament in light of their fulfillment (Luke 24:27; 44–46), the glory and power to which he was now being raised (Matt. 28:18). Additionally, his enduring presence in his church (Matt. 28:20), the equipment of his apostles for the office of their ministry (Mark 16:17–18; Luke 24:48; John 20:21–23), the restoration of Peter (John 21:15–17), the proclamation of the gospel to all peoples (Matt. 28:19; Mark 16:15; Luke 24:47; Acts 1:8), the nature of faith in his name (Mark 16:16; John 20:29), the benefits to be obtained by it (Mark 16:16; Luke 24:27). Finally, the meaning and administration of baptism (Matt. 28:19), the future of the kingdom of God (Acts 1:7), the promise of the Holy Spirit (Luke 24:49; Acts 1:4–5), his own deity (John 20:28), and the full revelation of God as Father, Son, and Spirit (Matt. 28:19). Commenting on the apparent disparity between Jesus’ ministry and that of the apostles Alfred Loisy’s famously quipped, “Jesus came proclaiming the Kingdom, and what arrived was the Church.” Now, while scholars like N.T. Wright have accounted for the apparent differences in emphasis between Jesus’ proclamation in the Gospels and that of the apostles (Kingdom –> Risen King), when we begin to take seriously the account of Jesus’ post-Resurrection instruction, we can start to appreciate how much the apostles’ teaching was still rooted in the words of their Lord. It’s not that after his Resurrection, the apostles all of a sudden, under the inspiration of the Spirit, had a burst of theological creativity. Jesus himself revealed to them truths they could not see before, and clarified for them the reality of what he had been instructing them in all along. The disciples didn’t just have to sit back and remember “Now what did Jesus mean when he said…” when they were writing the Gospels. Many of the interpretations of Jesus’ ministry as the fulfillment of prophecy were probably taken from Jesus’ own lips as he spent time teaching them about the kingdom of God. I don’t know about you, but this offers me great encouragement to my faith in the authority of the rest of the New Testament witness. Even without bringing in the strong theology of inspiration I already have, the New Testament is not merely the disciples’ witness to the Risen Christ, but likely the Risen Christ’s own witness to himself. And on that note, I think I’ll wrap this up and go crack open my Bible. Seems like the right application at this point. Good post. Thanks for sharing Derek. This is something I don’t think I’ve ever considered the implications of. Thanks for sharing the Bavinck quote; encouraging indeed.